Love this card! So beautiful and elegant! 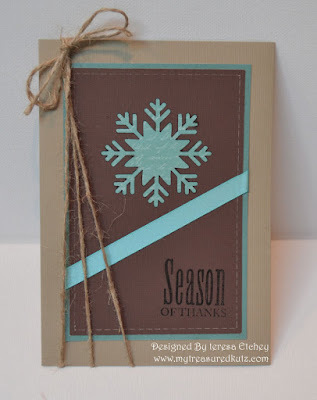 Very pretty card, love the simplicity and colors, TFS!! Such a pretty card. I'm loving the color combo. What a striking card! I adore this color combo too! A basic snowflake is always appropriate for any recipient. I love this card. Gorgeous, but looks easy to make. i like this - sometimes you need a card for someone who is not too fussed about receiving cards and this is simple and elegant and just gets the message over ! like it and quick to do too - when you have a large list to work thru! This is such an elegant card!